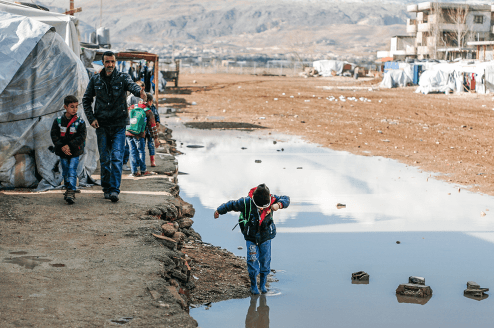 IDC Member, JRS Europe, has released a working paper analysing the reform proposals for the Common European Asylum System (CEAS), which it says will “hit the most vulnerable the hardest”. It criticises the proposed legislation for creating more circumstances in which asylum seekers can be placed in immigration detention, such as in instances where asylum seekers deny to provide their fingerprints. Furthermore, it highlights that if passed the proposals will put children at more risk of immigration detention. The paper recommends that states “abstain from the disproportionate and excessive use of detention” and implement alternatives to immigration detention. “Detention can cause long-lasting psychological damage and JRS Europe continues to strongly advocate against its widespread use by Member States. Alternatives to detention must be used in order to reduce human suffering” states JRS. The JRS Working Paper also stresses that more restrictive policies for accessing EU territory have been introduced, that children travelling alone will be hit the hardest and that the right to family life as enshrined in the EU Charter and the ECHR will be undermined. Several other IDC members and partners have criticised the proposed reforms to the Common European Asylum System (CEAS). Detention Action notes that “At first glance, the proposals seem largely to steer clear of detention. Only gradually does it become clear that they would create a universe of increasingly punitive measures, leading inexorably to the detention of anyone foolhardy enough to still think that they can reach safety in Germany or Sweden by land and sea” says Jerome Phelps, Director of Detention Action. The European Council on Refugees and Exiles (ECRE) has also commented on the reforms. While ECRE recognises some positive aspects to the proposals, it also expresses a number of concerns including on the stricter and unfair rules for asylum seekers and the restrictive and punitive measures aimed at preventing secondary movement. ECRE highlights that the proposals are likely to undermine trust in the CEAS system and not only incur increased financial costs but human costs as well. These proposed changes represent a lowering of protection standards in the EU rather than increasing them, at a time when they are needed the most.